The potential of Beaujolais’ crus and terroirs and the return of “lieux-dits” has tempted Burgundian producer Vincent Girardin to purchase an estate in the region. La Tour du Bief, which dates back to the Middle Ages and is located in Chénas, includes some of the best vineyard plots in nearby Moulin à Vent. Speaking to the drinks business during lunch at The Savoy in London, Girardin, whose Burgundian property includes some of the Côte d’Or’s best plots in Puligny and Chassagne Montrachet, spoke excitedly about the potential of Beaujolais’ terroirs. In addition, Girardin noted that, at the moment, a top Beaujolais cru wine is only a little more expensive than generic red Burgundy and is a much more interesting wine. “It’s a chance to offer our clients something more,” he said. 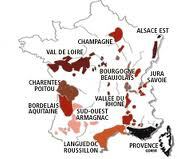 As with a great many Beaujolais estates, the estate has a number of “lieux-dits” that were granted in 1874 and include Les Caves, La Rochelle and La Tour du Bief. With a project to reclassify the region’s “premier cru” sites currently underway, when Girardin and his wife Véronique, saw the chance to acquire an estate they did so, finalising the deal on 8 September last year. The first release from the estate is part of the much-lauded 2009 vintage that Girardin was allowed to keep as part of the acquisition deal but Girardin is equally excited by his own 2010 effort.